There’s a lot of stuff talked about body language, some good, some pseudo-science, some claptrap. The big thing to remember is that body language, like other forms of communication, is very contextual. Culture also plays an important part. Gestures and stances that are acceptable in one culture, are frowned on in another. Just like the age-old question about a tree falling in the forest, if no one is there to hear you are you making any kind of meaningful noise? The same applies to your body language: if no one is paying attention, your body language is completely meaningless. Good body language needs good foundations. The foundations in this case are good posture and good breathing. Without these in place you’ll have to work a lot harder. Posture and breathing go together. The posture that you need for breathing is also posture that will serve you well as a speaker. We have two publications with more information: “Seven Secrets for Good Breath Control” and “Seven Secrets for Good Posture”. Drop me a line if you would like a copy or go to the publications page on this website. This is the exercise we use to start people on breathing exercises. To get the feeling of the correct posture, lie flat on your back on the floor with your knees raised. Ideally you need to provide some lumbar support: a rolled-up towel will do. Your back will be straight, your shoulders back and down, your chest pushed up and your head in approximately the right position. 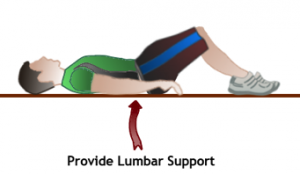 Transferring this to the standing position, try and imagine that there is a string attached to the top of your head pulling you upright and straightening your spine. It should feel the same as when you were lying on the floor. To check, you can back up against a wall. When you’re standing, make sure that your legs are shoulder-width apart: this gives you good balance. Standing is surprisingly energy-consuming. This is a particularly important point for women who tend to want to stand with their legs together. Simply by learning the correct posture for breathing and without having to do anything else, you will now be communicating confidence and authority. Speaking is very physical. It’s not uncommon for speakers to build up quite a sweat when they are presenting. The problem for many newbies is that they don’t know how to use their physicality: everything seems horribly incongruous. Perhaps you can relate to this? Everyone’s a bit different but typically you won’t know what to do with your hands so they end up in your pockets. Some people want to shrink a bit so you’ll drop your head and round your shoulders. Others feel the need of comfort so you’ll rock gently from side to side. All of this communicates lack of confidence. So how do you counter it? 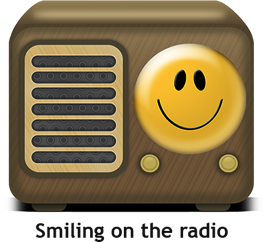 Let me demonstrate by telling you about smiling on the radio. OK! I know that’s a bit of an oxymoron but bear with me. I used to train radio presenters and one of the things we used to say to them is “For heaven’s sake, smile: people can hear it!” Simply by smiling you change the quality of your voice: it’s like putting some honey in it. Something else interesting happens too. Even if you don’t feel like smiling and you have to put on a fake one, your mind starts to believe the smile. Your psychology will follow your physiology and your physiology will follow your psychology. In other words, your mind is forced to follow what your body is doing and your body is forced to follow what your mind is feeling. From a speaker-presenter point of view this means that if you want to sound more animated all you need to do is be more animated, if you want to sound more enthusiastic then be more enthusiastic. Your mind will be forced to fall into line. The aim is to learn to use your whole body as a presentation aid but, to begin with, take small steps. Let’s focus on the thing that gives people the most trouble – your hands. I remember when I first appeared on stage back in the early 80s in a play called She Stoops to Conquer. Besides the awful nerves, I remember my biggest concern was what to do with my hands. I’m 6’3” and a slim build – even slimmer in those days. My arms felt like useless windmills with massive paddles attached at the ends. The old ‘hands’ offered what seemed useless advice at the time: don’t worry about it, you’ll get used to it: and of course I did. Do make sure that you use hand gestures. Keep them simple – you don’t have to reinvent sign language. Keep it relevant to what you’re speaking about. Don’t overdo it – you don’t want to end up looking like a windmill. Some gestures have different meanings in different cultures; for example, number 5 below when reversed is considered offensive in the UK. Number 1 is fine in the States and northern Europe but is highly offensive in many Latin American or Mediterranean cultures. Like the conductor of an orchestra you should use your hands to underscore what you’re saying, to punctuate and emphasise key points and help you animate the presentation. So, remember, when you next present, start off with good posture and a strong stance with your feet shoulder-width apart. This is your foundation on which to build body language. Try a smile try putting some energy into your presentation and use your hands expressively. As always, drop me a line with your personal experiences of public speaking and implementing some of the ideas in this article.